When Chinese e-commerce giant Alibaba Group Holding revealed plans earlier this year to go public on a U.S. stock exchange, financial advisers like Bob Mecca at Hoffman Estate, Illinois, braced themselves for a wave of frantic calls from retail investors wanting to get in on the action. Alibaba, which sells more than Amazon.com Inc. and EBay Inc. combined, could raise over $21 billion in its IPO. It's often described as technology's hottest initial public offering since Facebook Inc.’s 2012 debut, although initial pricing announced on Friday was less than many predicted. Retail investors generally get only 10 to 20 percent of shares in big IPOs, and several advisers told Reuters they had expected a scramble from clients. But the phone has not been ringing off the hook. “People are on Facebook, they know it, but no one has ever heard of Alibaba," said Mecca, who has $175 million in assets under management. The number of client inquiries about the Alibaba IPO is around a quarter of what it was for Facebook at this stage of the process and about half of what it was for Twitter Inc., said Steve Quirk, senior vice president of the group serving active traders at discount broker TD Ameritrade Holding Corp.
Robert Christie, a spokesman for Alibaba, declined to comment, citing the company’s pre-IPO quiet period. Alibaba’s decision to price its shares between $60 and $66 per American Depository Share is an indication that the company may not be too concerned about having a big U.S. retail investor base, since retail investors prefer stocks that cost much less per share. Alibaba could have raised the same amount of money by selling more shares at a lower price. One consequence of retail investors sitting out the debut could be a muted first day of trade, rather than the "pop" many expect from a tech IPO. “Because it is such a large deal and you aren’t going to see a lot of retail investor interest, I do not think it’s going to have a lot of momentum when it gets out of the gate,” said Tom Taulli, an independent IPO expert. 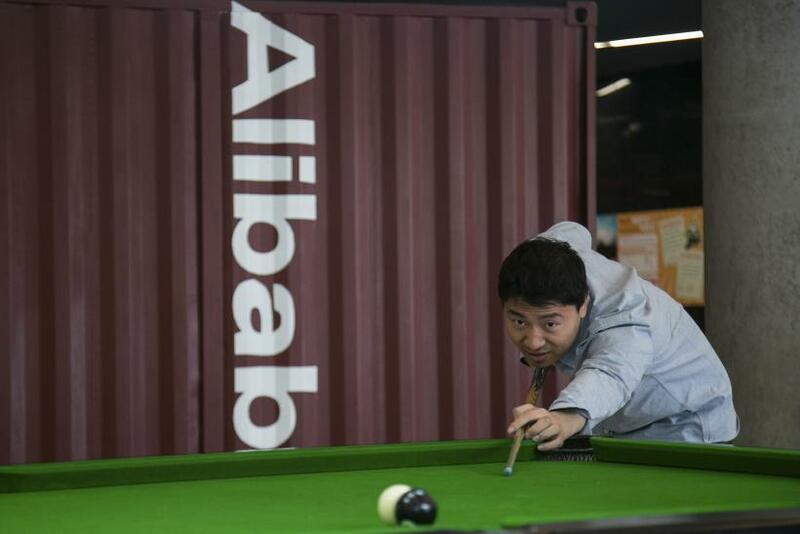 Longer term, tepid U.S. retail interest could be a drawback for Alibaba. Individuals tend to hold stocks longer, providing stability to the share price, and they help diversify the shareholder base. Having too much concentration among a small number of institutional investors, for example, could make the company vulnerable to attacks by activists, IPO experts said. "I think a strong retail base is much better for Alibaba," said Josef Schuster, founder of Chicago-based IPOX Schuster LLC, which helps create index funds for IPOs. Still, retail interest could ramp up. Bargain hunters could take note of the lower-than-expected initial price, and the company's pre-IPO roadshow, to promote the offering to fund managers, could spark wider interest. The roadshow kicks off on Monday in New York and is expected to reach around the globe to London and Hong Kong. That will provide stronger evidence of institutional investor interest and indicate whether shares are likely to be priced in the initial range. Industry analysts had expected Alibaba to lock down a valuation of more than $200 billion, but the high end of the initial range would put it at about $163 billion. Alibaba has some major, publicly traded investors, which give Alibaba fans other ways to get into the stock early. One UBS AG adviser said that some retail clients expecting to get shut out of the IPO have opted to buy shares of Japan's Softbank Corp, which has a 34.1 percent stake in Alibaba going into the IPO. For the same reason, James Gambaccini, a Fairfax, Virginia-based independent financial adviser, said he has a few clients that have opted to invest in Yahoo Inc, which has a 22.4 percent stake in Alibaba. Softbank's and Yahoo's stakes will shrink from dilution in the IPO, and Yahoo will sell some shares, but both will remain major Alibaba shareholders. But for the most part, Gambaccini said the demand for Alibaba shares has been lackluster, partially because many people have not heard of the company and some who know about it were wary of China, concerned by the potential for government interference, for example. Alan Haft, a Newport, California-based adviser, has been trying to interest clients in Alibaba for months. But he said it has been an uphill battle. "It's clear to me that most people know very little about this company and just how enormous the IPO is likely going to be as well as how impactful this company is," Haft said.